Former 147-pound world champions Andre Berto (31-5, 24 KOs)and Devon Alexander (27-4-1, 14 KOs) will battle in a 12-round showdown that headlines a stacked night of Premier Boxing Champions on FOX and FOX Deportes live in prime time on Saturday, August 4 from NYCB LIVE, home of the Nassau Veterans Memorial Coliseum. The telecast begins at 7:30 p.m. ET/4:30 p.m. PT with former world champion Peter “Kid Chocolate” Quillin (33-1-1, 23 KOs) facing 168-pound contender J’Leon Love (24-1-1, 13 KOs) in a 10-round bout. Also in action will be former amateur standout and fast-rising unbeaten prospect Joey Spencer (3-0, 3 KOs) in a super welterweight match. “I’m very excited about this fight. 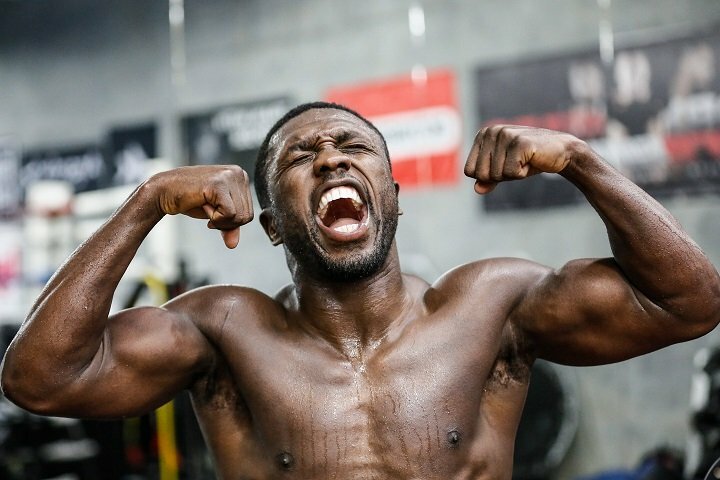 Berto and I have history going back to the amateurs,” Alexander said. “I know him very well, but we’ve never fought. I have to show that I’m still one of the best in a stacked division. This is all business for me, because at this point in my career, I’m approaching every fight as if it’s my last. This is prime time for me. A Brooklyn-resident who has made the borough home for his whole career, Quillin returned to the ring last September when he defeated Dashon Johnson by unanimous decision. The former middleweight champion made three title defenses after winning his title from Hassan N’Dam in Brooklyn and his only loss came at the hands of former champion Daniel Jacobs. The 29-year-old Castillo fights out of his native Dominican Republic and enters this bout with three straight victories by stoppage. Castillo’s recent wins followed his first professional loss, a majority decision defeat to unbeaten Joseph Williams last February. Castillo has fought professionally since 2010 and was unbeaten in his first 12 fights. The only other blemish on his pro resume was a majority draw in Brooklyn against then unbeaten Travis Peterkin in 2015.